Zootopia is about institutional racism? Here we go again, yet another CGI-animated children’s movie about the tyranny of unspoken stereotypical racial beliefs that also acts as a metaphor for the explosion of crack-cocaine in the black community in the 1980s… What? You’re saying that’s not what the Shrek series was about? Zootopia is, ahem, a “strange beast.” It’s endowed with the cutesy-wootsy trappings of adorable talking animals but fueled by a well-intended-if-slightly-off exploration of institutional racism. Ultimately mildly undone thanks to one simple decision made by one of the eight—yes, you read that right, eight—writers it took to pen this ostensible kids’ movie, Zootopia tries very hard to make a salient point about social injustice that resonates with both young and old. Also: Sloths! Judy Hopps (Ginnifer Goodwin) dreams of moving to the big city and becoming the first bunny police officer. Blessed with the indomitable pluck of Leslie Knope, she gets her wish and immediately gets a “missing person’s” case. With the help of a huckster fox named Nick (Jason Bateman), Judy tries to prove to her doubting boss, Chief Bogo (Idris Elba), that she’s a capable cop. But cracking the case means following the case to crack; the source of the missing citizens has to do with the equivalent of animal crack-cocaine. By making the “predators” the stand-in for the minority group, the writers made a miscalculation. See, in real life, predators do actually have biological instincts that cause them to behave violently. So there’s a way of reading the movie wherein, although Judy and the community become enlightened about harmful stereotypes, in real life, those stereotypes could be reinforced. Now, that’s obviously not what the film intended. But it’s a bungle that makes a mess of the metaphor. Also underdeveloped is Nick’s succumbing to low expectations; he explains that because everyone expected him to be a “sly, sneaky” fox, that’s what he became. That’s a complicated and dangerous concept of self-defeatism being introduced to young people. 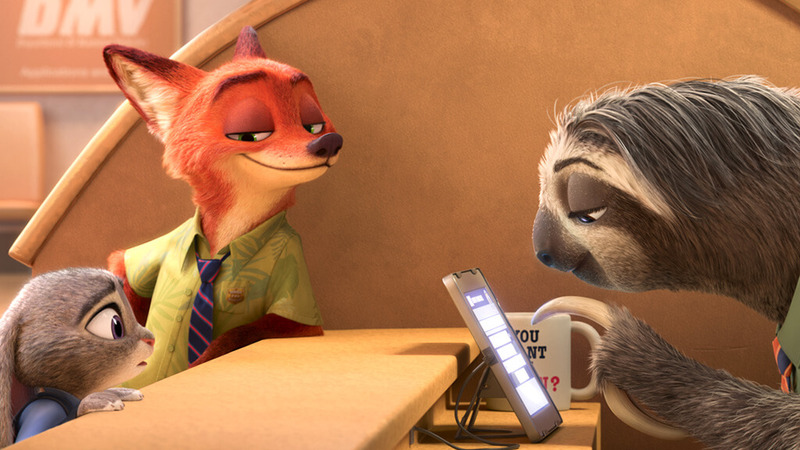 Ugh… Does Zootopia deserve praise for its ambition or derision for missing the mark? It’s pretty to look at, funny enough and reasonably clever with its pop culture skewering. But does it get points for branching beyond the “we are all special, delicate flowers” moralizing of most cartoons or lose them for kinda botching it? A review eviscerating the film would make as much sense as one praising it, so it comes down to a coin-flip judgment call; let’s go with the optimistic view that kids hear “stereotypes and fear of others is bad” and adults reinforce that message.